I'm working with population data, and I have an issue when it comes to knowing the sum of a population inside the attribute table. I'd like to add all the numbers together from the column UN_2015_E. Is there a way to do so? 1. First one is called "Show statistical summary". Symbolized as a Sigma symbol( ), placed in the main QGIS working window. 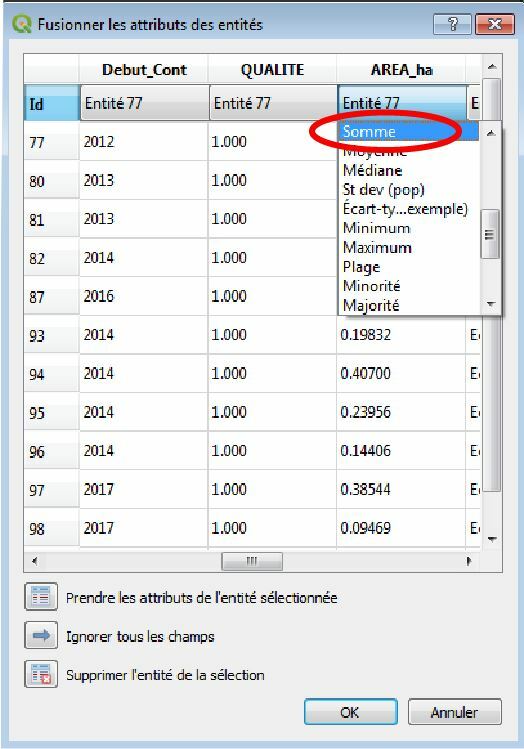 In the appearing window, you just need to choose the layer which you are interested in (population data) and choose the field that you want to explore, seems like "UN_2015_E". The total number will be calculated just in the row called 'Sum'. 2. There is a plugin called Group Stats, see the image below. However, I apply this plugin when I require some calculations to be exported, but I do not want to launch Excel. 3. If you open the Attribute table and put the layer in edited mode, then you will be able to type sum("UN_2015_E") in the Expression dialogue and get the result as an Output preview. 4. With a hint from @J.R, there is also a possibility with a Virtual layer through Layer > Add Layer > Add/Edit Virtual Layer. In the Query panel, you just need to type a short statement, see the image below. The code above calculates the sum of all NOT NULL applying a filter. 6. And finally it is possible to obtain the summing values via QGIS domestic geoalgorithms. Search for Basic statistics for numeric fields in Processing Toolbox. Choose the field "UN_2015_E" and get the result. How to group and count attribute data? 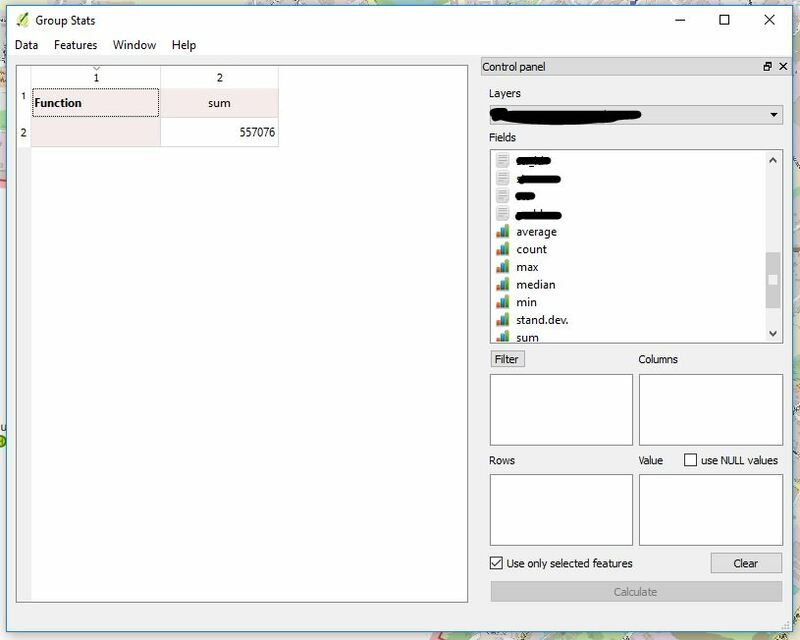 Add the statistics panel (view - panels - statistics panel) to your window layout and then let it show you the statistics of your column. Adding attribute data together within multiple polygons in QGIS? Summing attribute based on another attribute in QGIS? Adding a column to an attribute table leaves edit pencil icon grayed out in QGIS? 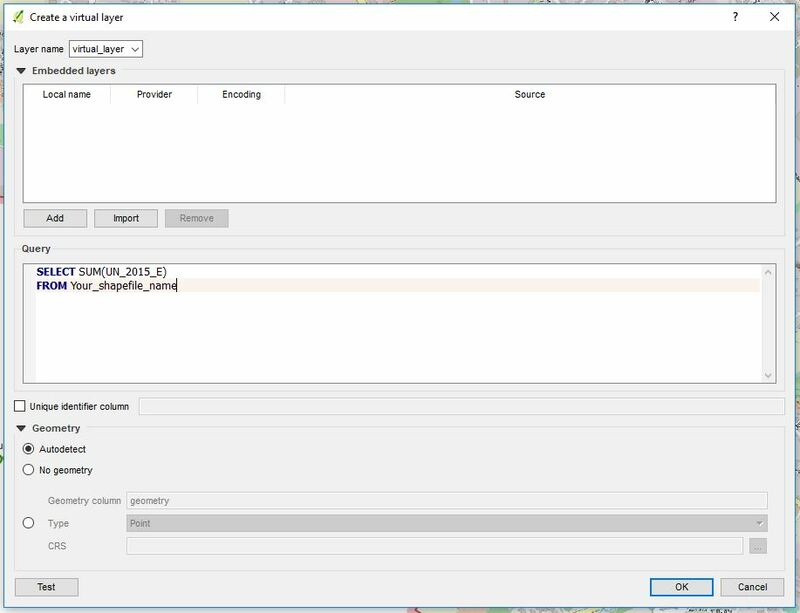 Cannot save column names or data in QGIS Attribute Table?